(and the little interview SECRET OF ELEMENTS granted us). Johann Pätzold is a young self-taught pianist from Rostock in North Germany. This former East German harbour town has ran into financial difficulties since the reunification. The city has been highlighted several times in national media for racial acts of aggression. Since an early age he has been very active in the local cultural scene. He's a political and social activist that has fought to protect the activities and support the Volkstheater of Rostock financially. Johann has been volunteering for refugee assistance since the beginning of the Migrant crisis. Musically, he has produced music for theater, dance companies and Film before publishing his own production under the Secret of Elements moniker. He set up his own label Gleichklang recording. We first discovered Johann's production whilst we were working on the first instalment of the #Explorer compilation series (from which "The effect of Butterfly Destiny" is taken from). Since then, Johann has been hired for a very secret mission to bring one of our forthcoming project to the next stage. But it´s all very hush hush right now. In the meantime, we are thrilled to premiere the official video of his epic and classy debut track for InFiné. Can you tell us more about the director? How did you guys meet ? Christian Beckmann from Bad Cube directed this video. He's a graphic designer from my hometown, Rostock and is always looking for "big music" to accompany his alluring visuals. This collaboration happened quite naturally as I had a feeling that he would be interested in my music - he's applying his visions through animation onto my music and the respect between us is mutual. Why have you chosen the name “Destiny of Butterfly”? What does it mean to you ? For my forthcoming production I have chosen the theme "Destiny". What does destiny mean? What is destiny? Where does destiny begin? etc… As a former physician student I have always been fascinated by this theme. We all know the legend of the butterfly effect. 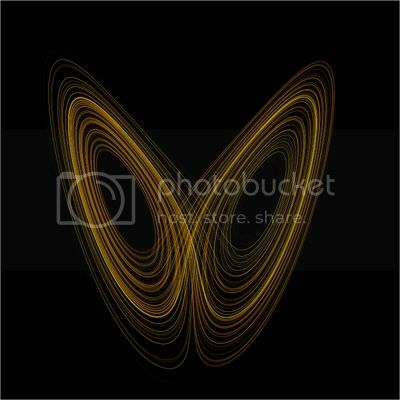 But if we think about the potential of the butterfly effect, the big question for me is : If the butterfly creates the destiny - what is the destiny of the butterfly?! This has been the basic premise of my work for the last two years now. I feel that I need to extract myself from these situations, in order to feel this theme, which enables me to then to work with it. How did the collaboration with Christian Beckmann work? I gave Christian some sketches of my thoughts but I only had one idea for the video - that something big crashed on earth… and everything was over. What happens then to our human mind and spirit ? What happens to our Art, our culture, our dreams spread all over the world?! Everything is so impermanent. if we all disappear, no one could tell our "Human" Story. All the errors we have made, but also all the good things we did. All of this is gone, forever. It was also a scary idea for the director but he really succeeded in implementing the idea solidly through these scary images but nevertheless let the human spirit survive - the dancers in the video. The dancers are Natalie Brockmann and Larissa Potapov from the public theatre of Rostock. We captured their dancing bodies with a 3D scanner.